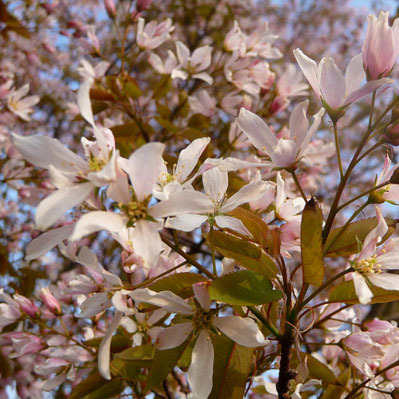 Amelanchier grandiflora Robin Hill is a good choice for the smaller garden. Before any one asks, Robin Hill is the name of the species of tree not the actual name of the tree. 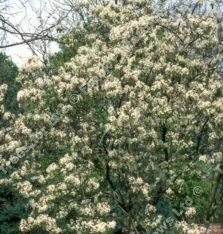 If you were to go to an Amelanchier convention, you would not see trees with many of them wearing name badges that said Robin. 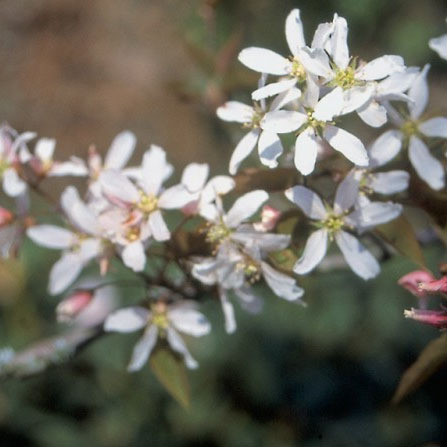 Amelanchier Grandiflora Robin Hill is considered to be more mildew resistant than other Amelanchier. It has a dense upright habit which in simpler terms means it grows more up than it does out unlike some of our waistlines in the office. As the outline drawing shows, Amelanchier Robin Hill grows to be more of a vase shape, all being well. We take no responsibility for comet strikes or escaped overweight Silver Back Gorillas hiding in your Amerlanchier which would obviously change the shape. The flowers it has open up pink and slowly turn a pure white. Before anyone asks how long does it take for our Amelanchier Robin Hill blooms to turn then our answer will be "sometime between soon and death of the tree", as we would never admit to not knowing anything. While all this is going on, the coppery red leaves are forming which turn to green and then a strong shade of orange and red before deciding not to hang on any more and packup shop and move to the floor aka Autumn. Try not to advertise the fact that you have coppery things going on in your garden as you may attract the not so bright criminal element in your area which may come to steal them and try to weigh them in at your local scrap metal merchant. To get the best out of your Amerlanchier Robin Hill you can either speak nicely to it or prune hard after flowering to maximise next years floral display. 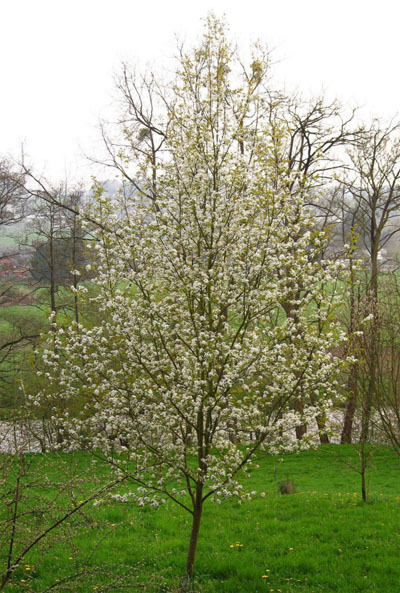 This tree is supplied at a height of between 1.2 and 1.7m in a 5-10L container for year round planting and better results than from bare-root or rootballed stock. No one has actually written a testimonial for this section yet but if they did, we are pretty sure it would say something great.